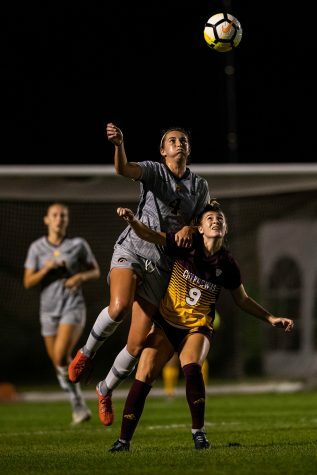 With six minutes left on the clock, sophomore Karly Stuenkel knocked in the game-winning goal to defeat Northern Iowa in overtime. “My calves cramped up, so I had to celebrate on the ground,” she said. 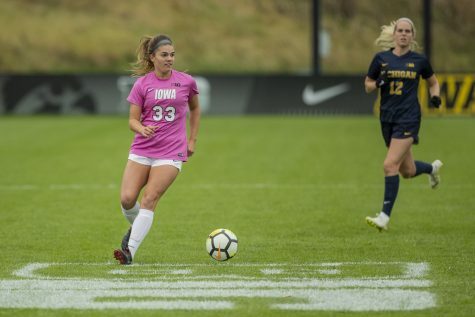 Surrounded by both Panthers and Hawkeyes, Stuenkel was able to dig the ball out of the group and send the ball to the back of the net. Head coach Dave DiIanni expected a fight from the Panthers after having a few close games in the past. 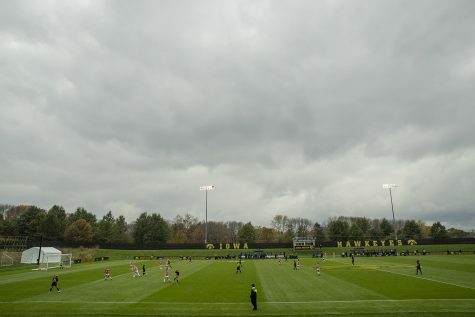 The Hawkeyes took the lead nearly halfway through the second half before giving up a goal in the 73rd minute. 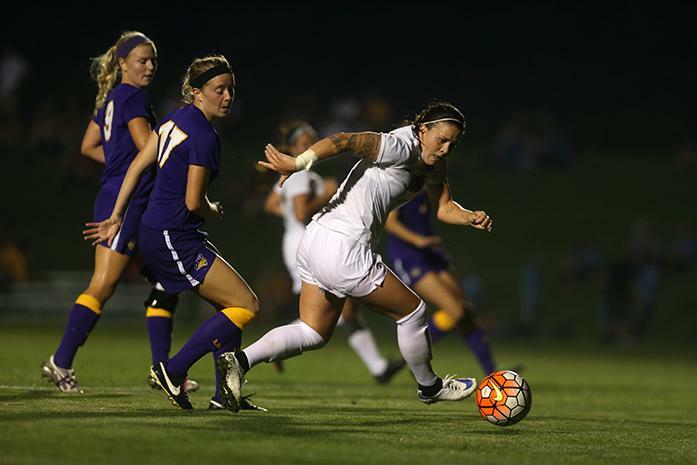 The late goal in the second half pushed the two teams into overtime. 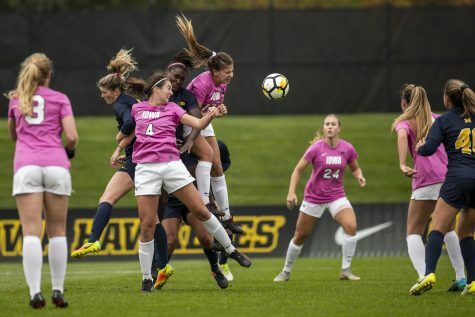 Despite giving up the late second half goal (the Hawks’ first goal allowed of the season), DiIanni believes that the team is on the right track. 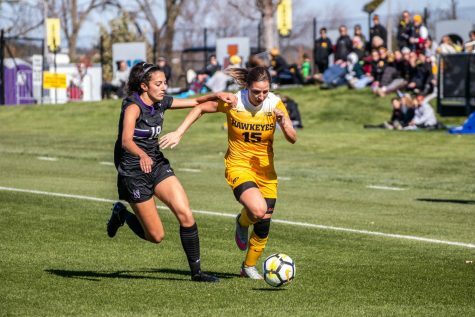 The Hawkeyes had plenty of offensive chances and were able to keep the ball in the Panther’s zone for the majority of the game. 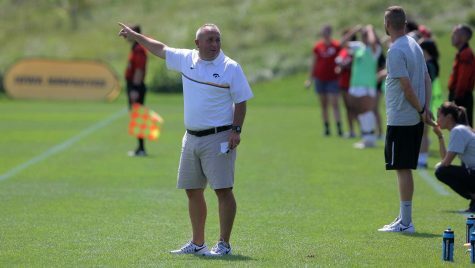 While the team played well and pulled through with the win, DiIanni thought that the team was a little sloppy at times. 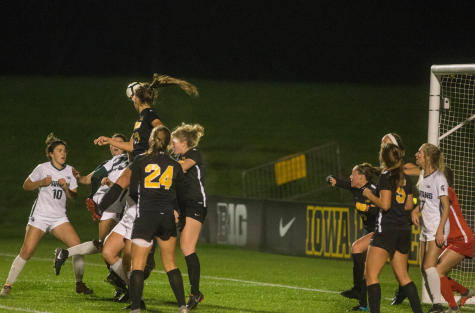 The Hawkeyes struggled with their back line for about a 10-minute period during the second half, eventually culminating in the goal. However, Iowa played fairly solid defense throughout the game and ended with a 17-13 advantage in shots. They also held a 9-6 advantage in shots on goal and had four more corner kicks than the Panthers. 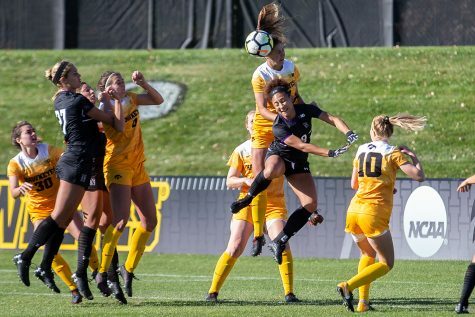 The Hawkeyes remain confident as they head out on a two-game road trip to Missoula, Montana, to face Utah State and Montana. Their victory today continued their four-match winning streak to start the season, giving the team plenty of momentum. Follow @RodEngblom on Twitter for news, updates, and analysis of Iowa sports.